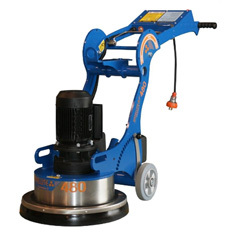 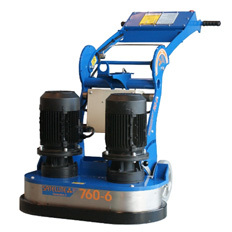 The SM7 is a revolutionary self-contained concrete grinding system. The built-in auto-stabilizer protects the life of your motor by reducing vibration and stabilizing your machine, improving the life of your motor. 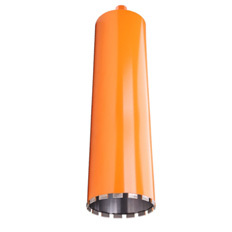 The handle assembly is anti-vibration rubber mounted for operator comfort. 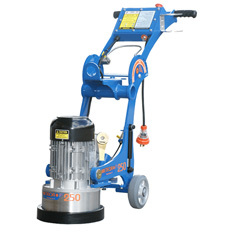 Speed is adjustable to suit various operating conditions. 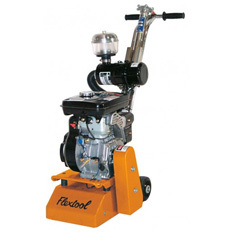 The motor uses sophisticated electronic control circuitry, which includes soft start, overload and feedback speed stabilization electronics for even speed under all load conditions. 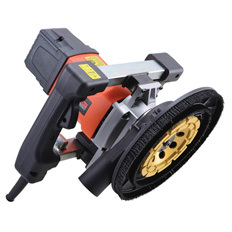 This results in excellent grinding results. 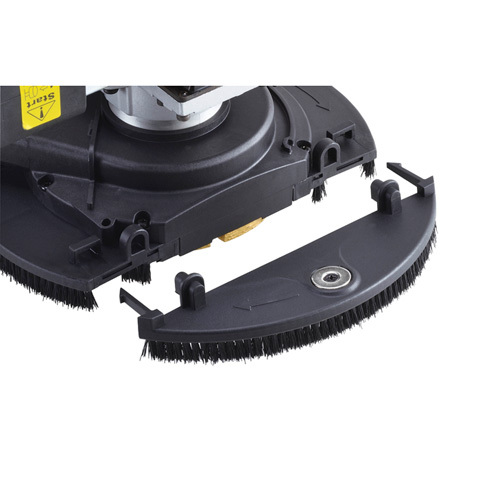 - Dust skirt - easily removable to grind up against edges!